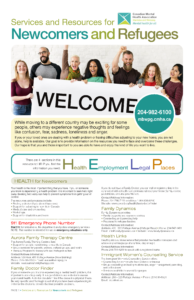 The Mental Health Resource Guide has a new name, new look, and a new section for Newcomers and Refugees. 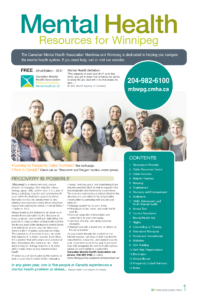 To view, download, or print the Mental Health Resources for Winnipeg, click here. We will gladly mail up to 5 copies (per organization) of the printed version for free. Orders of more than 5 must be picked up. To arrange pickup, call 204-982-6100 or e-mail.